Metallica’s band members have presented a donation from their charitable foundation, All Within My Hands, to The Mission Continues to help empower veterans creating transformational change for communities in need. The band’s contribution marks the foundation’s role as a 2018 Contributing Sponsor for The Mission Continues’ service platoons across the country. Support from All Within My Hands is part of a greater partnership with Starbucks and Spotify for a charitable gift card sold at participating Starbucks stores nationwide. As part of the promotion, Starbucks and Spotify donated $1 million, divided between Metallica's All Within My Hands, Chance The Rapper's Social Works and Lady Gaga's Born This Way Foundation. In February of 2017, Metallica announced the formation of All Within My Hands. The foundation aims to assist and enrich the lives of members of the communities who have supported the band for years, as well as encourage participation from fans and friends. All funds raised by the foundation are donated to a cross-section of national and local charities. 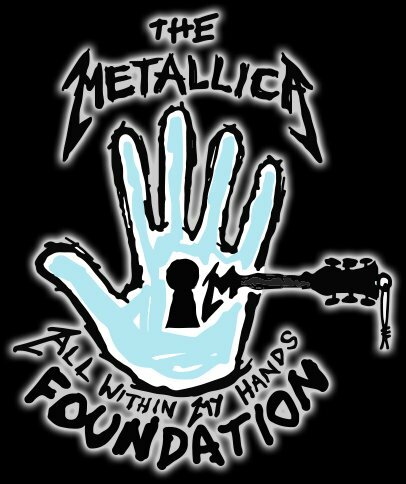 The Mission Continues is one of many organizations supported by Metallica's All Within My Hands foundation. "We are super psyched and grateful for the generous donation Starbucks and Spotify have made to All Within My Hands to help us support veterans as they adjust to life at home," Metallica said of the gift card. Support from All Within My Hands will go directly towards The Mission Continues’ service platoons located in 17 communities where Metallica performed in 2017. The cities include Atlanta, GA; Baltimore, MD; Boston, MA; Chicago, IL; Dallas, TX; Denver, CO; Detroit, MI; Houston, TX; Los Angeles, CA; Miami, FL; New York City; Orlando, FL; Philadelphia, PA; Phoenix, AZ; San Diego, CA; Seattle, WA; and St. Louis, MO. Service platoons are teams of veteran and non-veteran volunteers that mobilize together to solve a specific challenge in their community. The Mission Continues has over 75 service platoons in 45 cities nationwide addressing pressing community issues by mentoring at-risk youth, restoring under-funded national parks, organizing food drives and more. The Service Platoon Program is just one of many initiatives led by The Mission Continues that empower veterans to continue serving at home by mobilizing together and solving challenges specific to their communities. Veterans make an impact every day by serving with The Mission Continues in a variety of capacities, leading to an increase in personal growth through service. These volunteer opportunities are contributing to veteran-led community impact and a greater sense of connectedness among veterans. To learn more about The Mission Continues’ programs and opportunities to get involved and support our efforts, visit http://www.missioncontinues.org.